Important:Make of Resin.Environmental protection non-toxic product. Great for decorating kids room or any room with a safari theme. 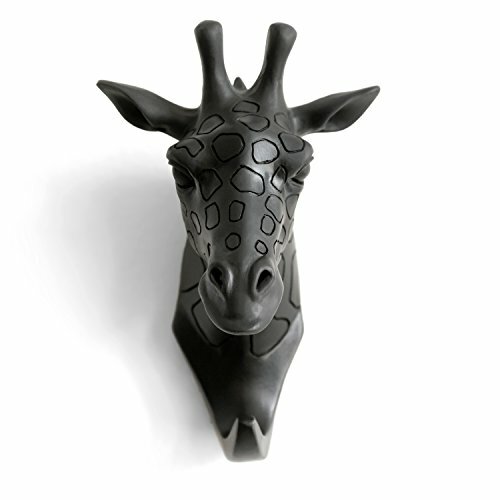 Our Advantage:Animal Giraffe Head hooks can show personality,Hand goods while adding a art and style on your house,We are the exclusive distributor of this item. Size:5"H x 3.5"W x 3.5"D; (Last Picture Compare with the 6/6 plus phone size)Search"Herngee hook"more animal hooks are available:Rhino,Horse,Sheep,Giraffe,Deer,Elephant etc. If you have any questions about this product by HERNGEE, contact us by completing and submitting the form below. If you are looking for a specif part number, please include it with your message.